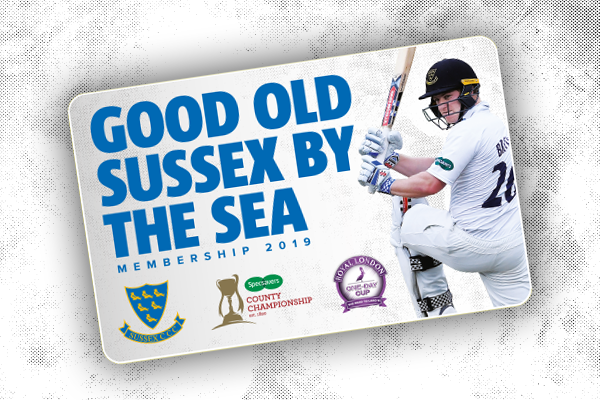 In response, Rushworth made inroads into the Sussex batting order in his first over as Phil Salt was caught behind for two. Wells was fortunate not to be run out by Raine, who missed the stumps with a throw from 10 yards. Raine did atone for his miss, striking to dismiss Tom Haines for 22. Matters did not improve after the interval for Sussex. Rushworth replaced Weighell, and enjoyed the same success as his team-mate. He bowled Michael Burgess for nine before removing David Wiese's off-stump. Amid the chaos at the other end, Wells maintained his vigil, building a vital partnership with Chris Jordan to stem the tide. The 28-year-old made his fifty from 122 deliveries, scoring seven boundaries. Durham began their second innings with a lead of 22, only to be immediately pegged back when Robinson trapped Steel lbw for a duck. Lees and Bancroft were able to drop anchor in the remaining overs before the close as the hosts ended the day 31-1, 53 runs ahead of Sussex.